This week I’m excited to introduce you to Tara Blank of The Cotton Haven. 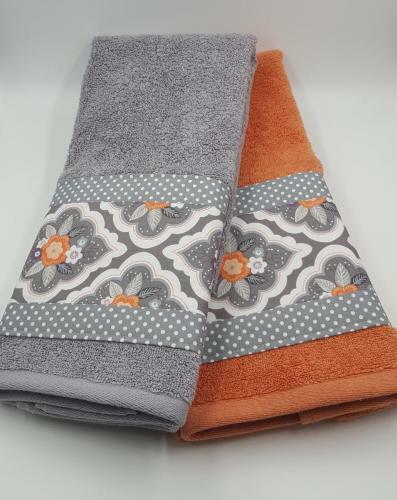 She makes gorgeous towels and towel racks that are far beyond anything you could get at a big box store. Her color pairings and choices in fabric just blow me away. Whatever the season she’s got the perfect option to spruce up your decor. 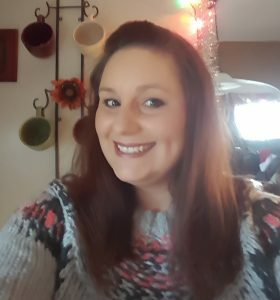 Read on to learn more about Tara and her business. I have had an obsession with fabric since I was in my teens. During a sewing class I took in high school, I remember being introduced to the “fabric store” for the first time, and I was hooked! When I was in my early 20’s, I had a small business selling quilts, baby clothing and hair bows on Myspace. Not long too long after, in 2011, my Mother introduced me to Etsy, which seemed to be a much better platform for selling handmade items. We opened our very first shop and after a lot of trial and error, we specialized in handmade wooden children’s bedroom and bathroom décor. I loved the idea of designing the items, however, the painting was not where my heart was. 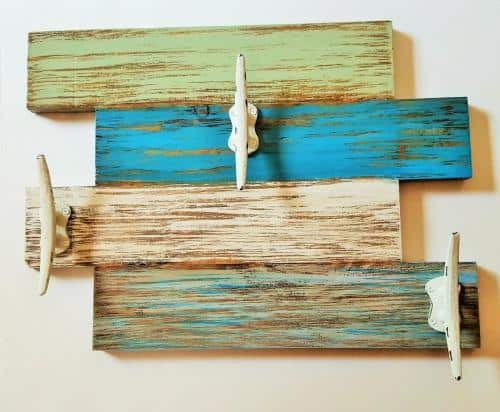 That’s where I decided to incorporate fabric, designing items that had fabric sealed onto the wood. It quickly took off and became a success! Shortly after, I introduced towels into our Etsy shop and they too, were a success! Through it all and a few years later, I came to the realization that I really wanted to branch off on my own, opening my own Etsy shop and only do towels. That is where The Cotton Haven started! 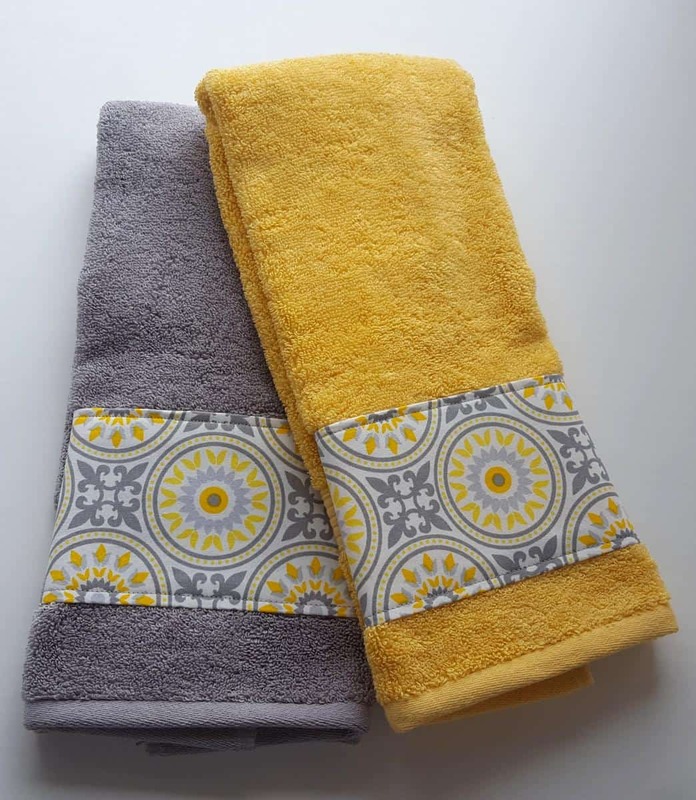 I started The Cotton Haven in March 2017 with just towels and now have of course, come up with something else to incorporate into my shop-towel racks! That’s what we do, right? We continue to brainstorm ideas, create and grow! I’m excited to see where this journey leads! Hands down, my favorite part of owning a handmade business is that I am always available for my children. I make my own hours, I can tweak my hours as I need to. It’s great! The biggest thing that I have learned during my handmade journey is that you will only get better and better. Every aspect of my business has evolved and will continue to evolve. When I look back at the very beginning of my journey, I can’t help but laugh, but I also smile because I kept going, never giving up on the dream of owning my own business and the dream of doing what I love! Never give up. The Handmade Journey Academy has helped me grow my business tremendously! I don’t even know where to start. I remember my Mom and I would try doing our own research, spending hours that we did not have, money that we did not have, only to make all of the changes that later we would find out were incorrect. 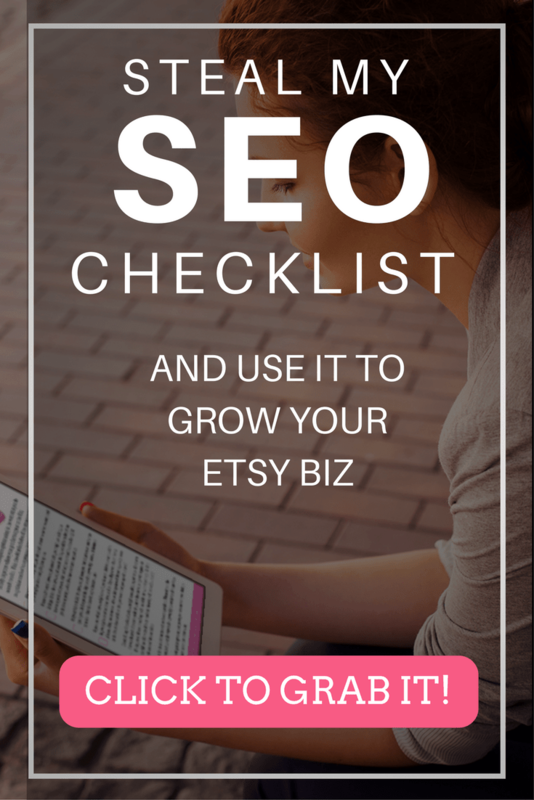 We really struggled finding the time to become SEO experts! It was just not going to happen. Simply put, Jami puts YEARS of research into one amazingly easy to navigate website that you can get through fairly quickly, always learning something new. The best part is that it is always right there for reference. I have seen the quickest improvements ever, using the Handmade Journey Academy. I have so many future goals for my business! 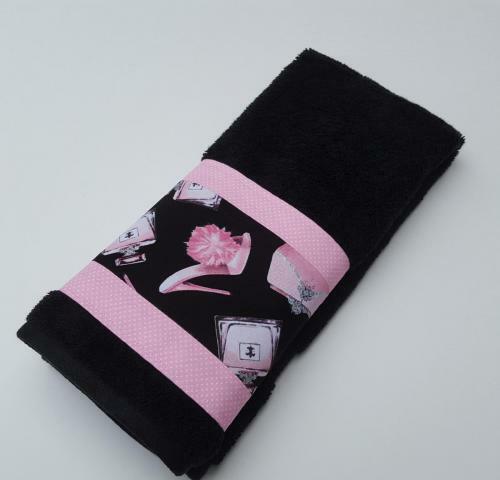 I want to add many more towels designs, create more towel racks with personalization being an option. I want to eventually open my own website domain. The biggest goal that I have is to match my husband’s income. It’s a long shot but I’m not going to give up!